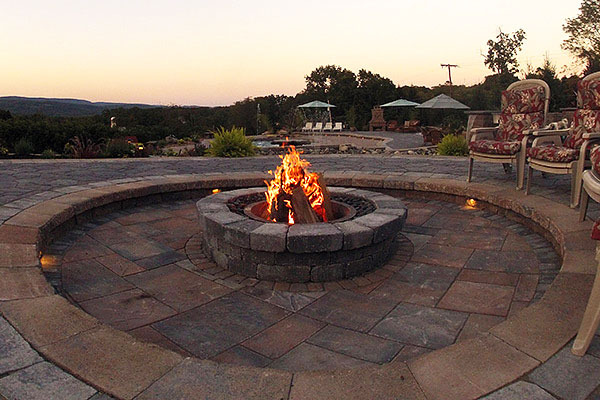 Fire features, like fire pits and fireplaces, are staple amenities in properties all across the state of New Jersey. This is not surprising given the state’s predominantly cold winters, necessitating outdoor features that would keep homeowners warm and comfy. 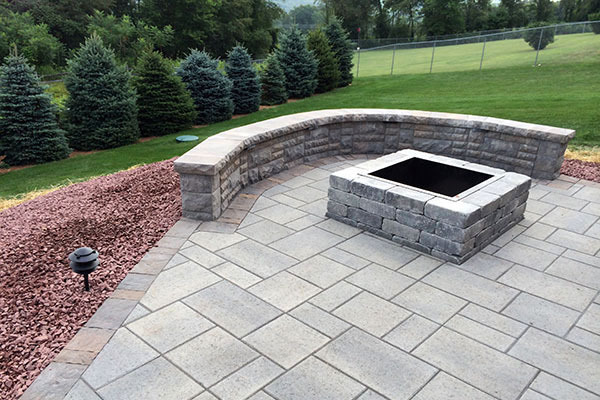 At JB's Landscaping, we can design and install aesthetically superior and durable fire pits and fireplaces for residential and commercial properties. With our keen attention to details and dedication to providing quality craftsmanship, our clients are assured to get the best build possible. Among the fire features that we recommend to NJ clients are fire pits. If you love to spend extended time outdoors, these amenities will surely keep you warm and comfy. 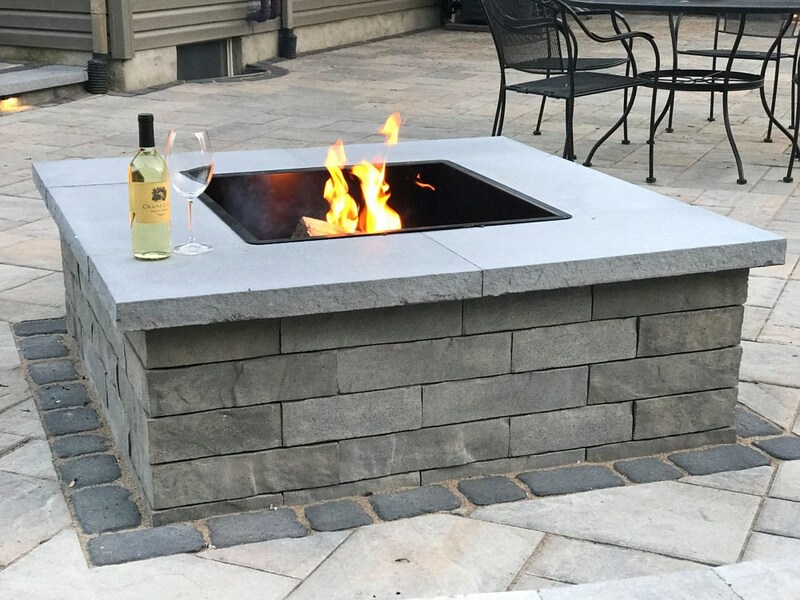 The great thing about fire pits is that they can be custom-built to client specifications, moved around (as in the case of a modular or bowl fire pit), or built with either gas or propane as fuel. 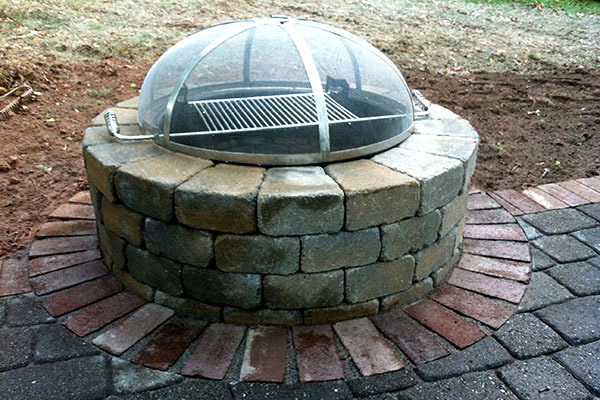 For those on a budget, a pre-built pit is the perfect choice since it costs way cheaper and only takes a few minutes to assemble. 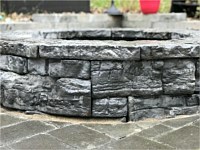 However, if you like a personalized look instead, then go for a custom fire pit where you have free reign on the design and material to be used. 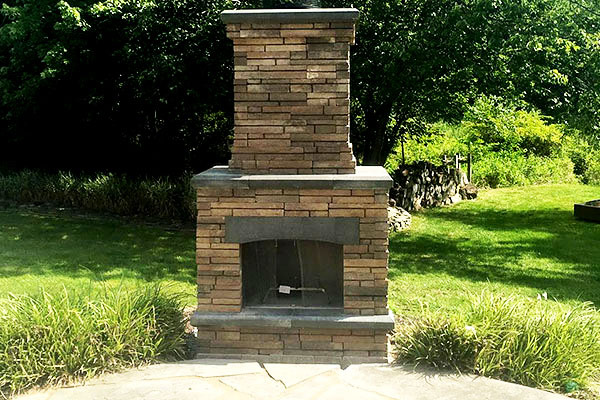 You can choose from brick, stainless steel, copper, or stones. 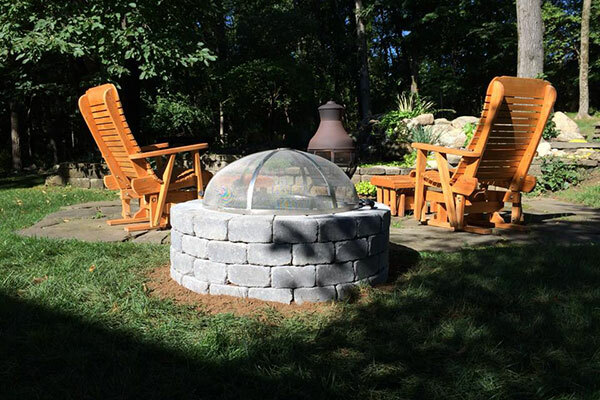 Incidentally, brick and stone fire pits are one of our most sought-after creations. 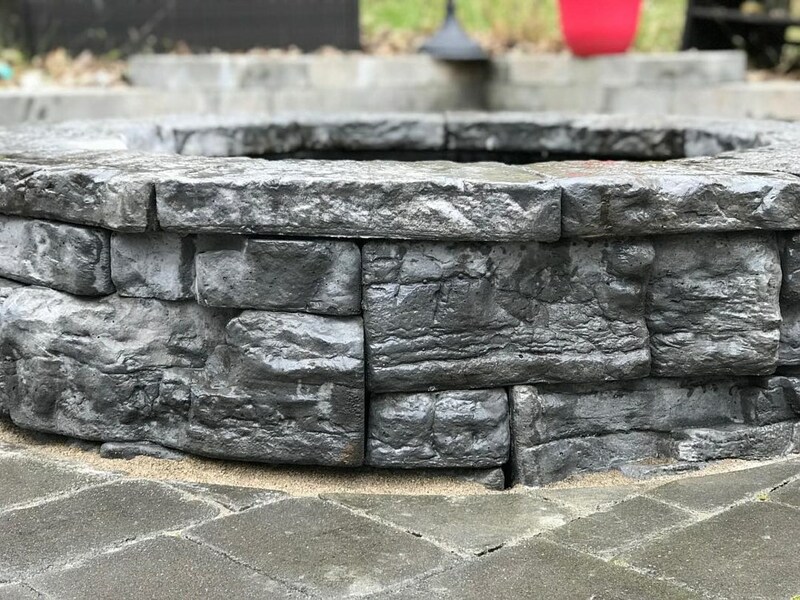 Being partners with Belgard, we are able to get the finest materials for our projects, which allow us to satisfy the design requirements of clients with discriminating tastes. 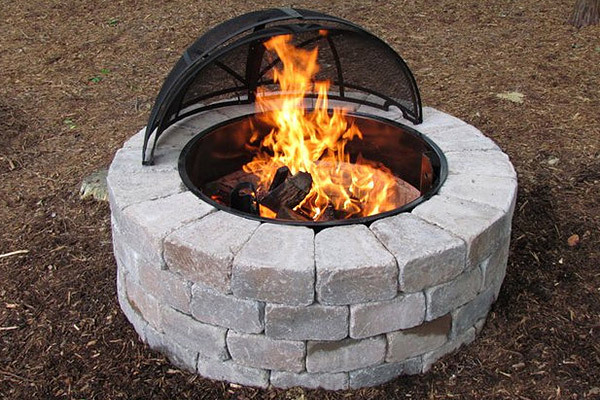 Moreover, we also create fire pits with added features, like fire screens for protection or grills for cooking purposes. Just tell us your desired amenity and we’ll include it for you. We can create first-rate fireplaces regardless of the design or size. Options include pre-built structures or handcrafted fireplaces. The results are always eye-catching fire features. 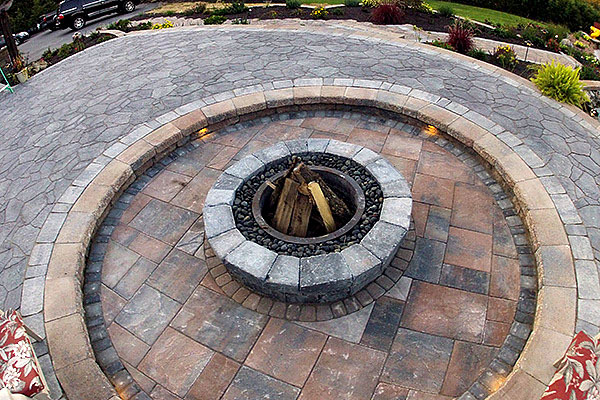 With our superior quality installation, you're guaranteed to have stunning fire pits and fireplaces that are sure to last for decades. 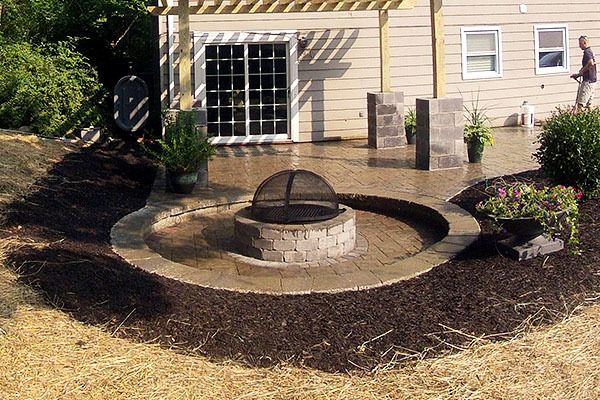 As a full-service landscaping company, we know the value of having a property with well-designed and nicely-built outdoor amenities like fire features. This is why we offer our services to every New Jersey resident no matter how simple or complex the project is. For extraordinary fire pits and fireplaces, call JB’s Landscaping.